You may think you're healthy, but you're not. After all, when was the last time you hiked a canyon, ate only 1200 calories in a day or had an afternoon stress-reduction massage? Seriously. You might as well be Lindsay Lohan, you're so toxin-filled. Oh, wait. That's me. You probably HAVE taken a canyon hike lately, especially if you live in LA. 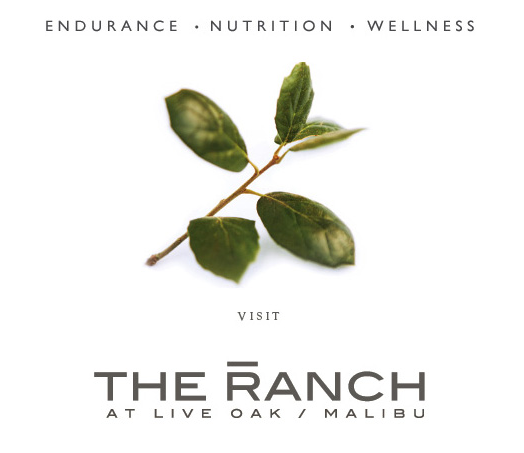 Still, we could all stand to be a little more health conscious, so–with that in mind–check out my story in the new C Magazine on the brand new Ranch at Live Oak retreat, which opens in Malibu in September. This is a super exclusive 6-day/7-night program on the most beautiful sprawling property and is meant to help you recalibrate physically and mentally. C Mag was lucky enough to get the regional exclusive. You know what else makes you recalibrate mentally and physically? Alcohol, drugs and jail time. But not in a good way. Just ask Lindsay Lohan. I think I'd rather visit The Ranch. Wouldn't you?